RecoveryView.com, an online journal, kicked off National Recovery Month with the C-Suite Executive Symposium, subtitled “Strategies for Behavioral Healthcare and Substance Abuse Treatment in the New Insurance Economy. RecoveryView.com.” The topics covered were a matter of great import for treatment centers and individual practitioners. Most of all, each of the issues discussed directly bears on the decisions insurance companies make with regard to claims filed by treatment centers. Client-care is at risk when insurance companies don’t pay out, so it was inspiring and comforting for many in the industry to see the huge number of professionals come together to sort out the issues at hand. Renee Popovits, J.D. then shared her insights and expertise in “Corporate compliance” making it clear that every facility must have a code of ethics. Tony Marquez, consultant, called the symposium “very informative and inspiring.” To deal with the drug epidemic as an individual or as a business is one thing, but to begin addressing these issues from an insurance perspective, is something that Marquez found inspiring. “the presentations were so detailed and eye-catching.” She particularly loved the presentation by Dr. Louise Stanger on “Standard of Care and Ethical Issues. “Dr. Stanger was animated and engaging, said Mason. Mason was also intrigued by Stampp Corbin’s, MBA, presentation on “Mental Health Parity: Your Business, Your Rights, Your Bottom Line.” She was surprised that mental health centers could ask for an external review in the case of a denial by an insurance company. “I’ve done appeals for over ten years…” she said. But had never heard of this external review option. A trend in the industry is to see businesses not as competitors but as partners in a joint effort toward better ethics and more power in the dialogue with large insurance companies. Scott Kiloby, J.D., Addiction Treatment Advocacy Coalition Board member, said that it’s important to share information. He also pointed out that there is a two-pronged approach that consists of standing up to the insurance companies and remaining compliant. Other presenters on the Executive Panel with Kiloby were Lori Phelps, Ph.D., Pete Nielson, Sherry Daley, and Rebecca Flood, MHS, LCDC, CADCII, BRI II. The panel was moderated by Joan Borsten who has become well known for fighting against certain insurance company decisions that have impacted individuals and professionals across the Recovery Industry. The C-Suite event was sponsored by several treatment centers and others in the recovery industry. It also featured exhibitors. Those present were Addiction Therapeutic Services, Hope by the Sea, Addiction Treatment Coalition, A&M Symposium, Benchmark Transitions, Dynamic, Hired Power, Millennium, Milestones Ranch Malibu, Catalyst Group and His House Treatment Centers. Josie Herndon of Addiction Therapeutic Services is glad that “the conversation in the industry has started.” She pointed out that national associations are now working together and talking about future collaborations. While there is quite a ways to go, the C-Suite conversations demonstrated that quality of care, efficiency and the best ethics on both sides of the conversation will be essential to making sure that clients and treatment centers come out as winners. Transcranial Magnetic Stimulation: A New Answer to the Antidepressant Quandary? A normal brain lights up like a hearth in a PET scan whereas a depressed brain is usually dark, with only a only few glowing embers. A brain scan seems like quite a work of art and in some ways represents the light and darkness in a person’s life experience. But speaking scientifically, a PET scan shows doctors the levels of activity in different parts of the brain. A medical professional who uses such scans to apply the newest treatment models in Treatment Resistant Depression is Dr. Manish Sheth, a desert area psychiatrist. 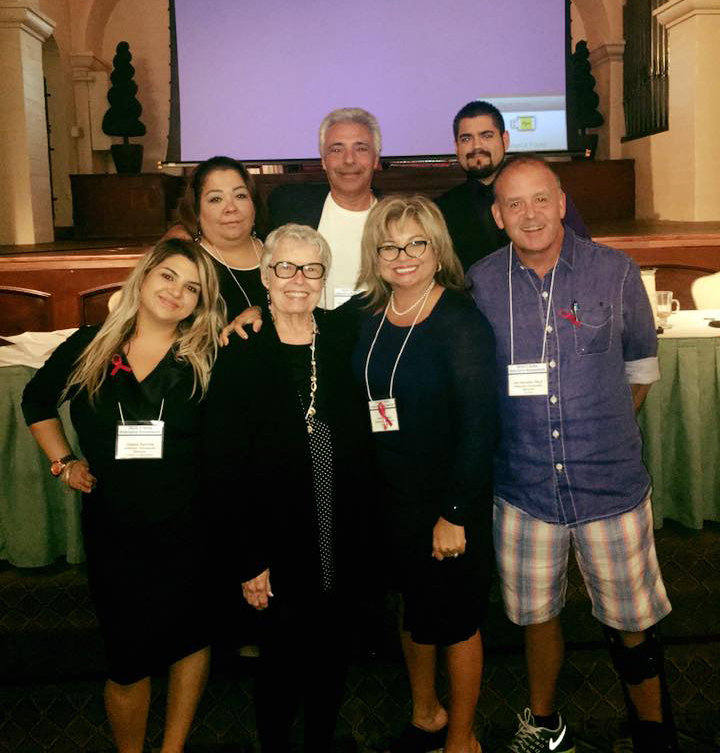 He recently spoke at the Rancho Mirage Network Luncheon hosted by Addiction Therapeutic Services and works frequently with those suffering from substance abuse as well. Some have just accepted relapse as a part of recovery. But Dr. Sheth is one of the many doctors who decided to “look through the fog” to find out why relapses happen, and how the medical community can help stop them. At the luncheon, he offered up a wealth of research that could revolutionize treatment. It may even revolutionize the way that individuals and insurance companies support treatment for depression! The new advances in neuromodulation are extraordinary according to double-blind studies for both surface and deep Transcranial Magnetic Stimulation as well as studies for other neuromodulation devices. The new processes help specialists to target an individual’s brain directly without dangerous side effects and without the typical compliance issues (that is non-compliance when it comes to a pharmacological regimen) that patients of depression and substance abuse tend to exhibit. According to the International Neuromodulation Society (INS), neuromodulation can be defined as “a technology that acts directly upon nerves. It is the alteration—or modulation—of nerve activity by delivering electrical or pharmaceutical agents directly to a target area.” That basically means direct brain stimulation by a technological device. Before the current devices were developed, some treatment programs included Electroconvulsive Therapy because research had demonstrated that nerve function controls depression. ECT was an effective way to stimulate nerve conduction, but needless to say, no one was a fan of electric shocks being delivered to an individual’s brain. There were also invasive treatments that involved a doctor cutting into the brain as well as Vagal Nerve Stimulation which required a doctor to open up tissue in the neck and insert a pacemaker-like device that delivered electrodes to the patient’s Vagus Nerve. Transcranial Nerve Stimulation (TMS Depression Therapy) on the other hand does not require anything invasive to happen. Neither does it require anesthesia, nor does it involve radiation or electric shocks of any kind. It also does not threaten lapses in memory or disturbances in sleep cycles like some of the previous treatment models. Surface, or superficial, TMS proved effective back when studies were conducted 8 years ago. However, in 2013, when doctors found that the efficacy of deep TMS to be significantly higher, the field completely changed. Deep TMS stimulates “deeper” structures in the brain that control dopamine pathways and seem to help to control the cycle of relapse. This part encompasses the addiction center of the brain. While the threshold of stimulation is different for each patient, Dr. Sheth says that patients at his outpatient clinic have an attrition rate of less than 2%. That means 98% of patients complete treatment. Doctors use cortical mapping to helps them to understand which angle they should place the stimulation helmet. They then set the correct threshold, and soon enough, depression is history! When patients are undergoing TMS treatment, there is no restriction on diet and according to Dr. Sheth, patients have not reported problems with driving or sleeping. Patients come to the the clinic for TMS sessions 5 days a week for 6 weeks and most report feeling better in the first couple of weeks. Dr. Sheth adds that “they are self-motivating and take more ownership of their treatments,” which itself is a sign of depression symptoms clearing away. He also believes that TMS improves participation in treatment programs for substance abuse and that patients feel significantly better after four weeks of sessions. Where the normal remission rate for depression is 35%, TMS patients have experienced a 42% remission rate. Pregnant women and those facing depression in their postpartum period have also sought out TMS treatments and found them to be beneficial. At this time, there is data both supporting the efficacy of TMS as well as showing that its results can and often do last up to a year. As research continues, we hope to find out whether the benefits of TMS can last beyond one one year. If you have any TMS anecdotes, please send them our way! https://addictiontherapeuticservices.com/wp-content/uploads/2016/08/ect-tms-brain-waves.jpg 347 450 Addiction Therapeutic Services https://addictiontherapeuticservices.com//wp-content/uploads/2017/05/ats-300x293.png Addiction Therapeutic Services2016-08-29 18:32:232018-06-25 15:33:30Transcranial Magnetic Stimulation: A New Answer to the Antidepressant Quandary? We’ve all heard treatment centers use “client-centered care” in their marketing taglines, but have you wondered what that really means? At the University of Southern California C-Suite Invitational last week, Dr. Eric Coleman invited professionals from all over the healthcare industry to reflect on what those words mean. The Professor of Medicine and Head of the Division of Health Care Policy and Research at the University of Colorado Anschutz Medical Campus noted, that it goes beyond the genuine desire of business leaders to run “patient-centered” facilities, and enters the realm of helping clients to learn how to self-support. For those in recovery, that means going beyond psychoeducation and integrating simulation activities into the treatment experience. Client-centered care involves educating clients on their addiction and other afflictions but goes beyond traditional classroom work to include real-life simulation experiences. 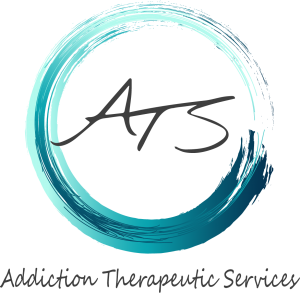 Clients must form a close relationship with their recovery, beyond learning facts about addiction, in order to embody their goals. It is important to note that enrolling in a psycheducation program is essential because it lays the foundation that is required to enlist long-term commitment to recovery. In these classes, or “groups,” clients are often offered information regarding the medical aspects of addiction, life skills, and sometimes even co-occurring mental disorders. In these sessions led by facilitators, counselors or therapists, clients come to understand why long-term dedication to abstinence and recovery is required, and why periodic drug usage or other stressors to the mind and body could be harmful or even fatal. However, psychoeducation may not be enough to guide clients through the nitty gritty of complex life scenarios. A truly client-centered facility’s psychoeducation program will help a client to implement his or her personal plan for recovery and assist that client in leveraging all of the tools that are available to them at the treatment center and beyond. That’s where simulation experiences come in. They allow clients to begin to understand the subtle details of real-life situations. Simulation exercises bridge a gap that the theories in ordinary psychoeducation classes often leave out. To begin with, the activities help clients to learn how to implement the tools they have picked up, like communication skills, and put them into action. Simulation also pushes forward positive changes in the brain. The saying, “practice makes perfect,” is highly applicable to simulation exercises because the activities, when repeated, are likely to change aspects of the neurocircuitry of the brain. Another thing to consider is that the client will have a less stressful environment to practice in. Therefore, practice in a clinical setting prior to discharge can set the stage for better performance after discharge! While transitioning to sober living or another residential environment post-treatment inevitably comes with challenges, this kind of preparation for self-support is invaluable. Psychoeducation and simulation go hand-in-hand and can easily be interwoven in a treatment program. Most importantly, paving a client’s transition using both methods could help him or her to understand how and when to reach for resources, as well as how to self-empower in difficult situations as the journey to healthier states of being carries forward. 1949 marked the first year of Mental Health Awareness Month in the United States. Since then, May has been observed as a time when organizations and individuals could speak out, share their stories and help spread knowledge about mental health. There have been great strides in understanding the causes of mental illnesses as well as remarkable achievements in treatment. Most importantly, the general public is more informed than ever on this topic. Mental Health Awareness Month has made activists of us all, encouraging us to learn, educate, and break the stigma that holds people back from seeking out much-needed treatment. People are passionately partaking in creating awareness this month and centering their activities around the very personal theme, “Life with a Mental Illness.” To honor this theme, mental health organizations and individuals are utilizing social media to the fullest. Mental Health America, which is running campaigns throughout the entire month, has invited unique stories via words, pictures and videos and has requested individuals to tag their social media posts with the hashtag #mentalillness. They will be bringing attention to the stories they receive by placing them on their website at mentalhealthamerica.net/feelslike. Others on Twitter are sharing their personal stories using #mentalhealthawarenessmonth and posting inspiring quotes, ideas and encouragement. National Alliance on Mental Illness (NAMI) reports that “1 in 5 Americans will be affected by a mental health condition in their lifetime.” That 43.8 million people! NAMI also tells us that “approximately 1 in 5 youth aged 13–18 (21.4%) experiences a severe mental disorder at some point during their life” and for children between ages 8 and 15, the estimate is around 13%. These statistics are especially important for treatment providers in the recovery industry to understand because nearly half of those with substance use disorders also have co-occurring mental illnesses including depression, anxiety, bipolar, schizophrenia as well as less well known disorders. Sadly, while some seek treatment and find their path to recovery, many are hospitalized and even die from these dark, debilitating conditions. NAMI also reports numbers specific to minorities saying that African Americans and Hispanic Americans use mental health services less than half as much as Caucasians do. Asian Americans use them even less. The U.S. Surgeon General reports us that that “minorities are less likely to receive diagnosis and treatment for their mental illness, have less access to and availability of mental health services and often receive a poorer quality of mental health care.” In light of these troubling issues, people in the field have taken measures to address the unique problems faced by minorities. One specific initiative is naming July Minority Mental Health Awareness month. We could get discouraged by the emotional and social weight of these statistics, but, since this year’s theme for Mental Health Awareness Month is breaking it down to the individual’s unique experience, we thought we’d share a few inspiring YouTube moments with you!